Hi! 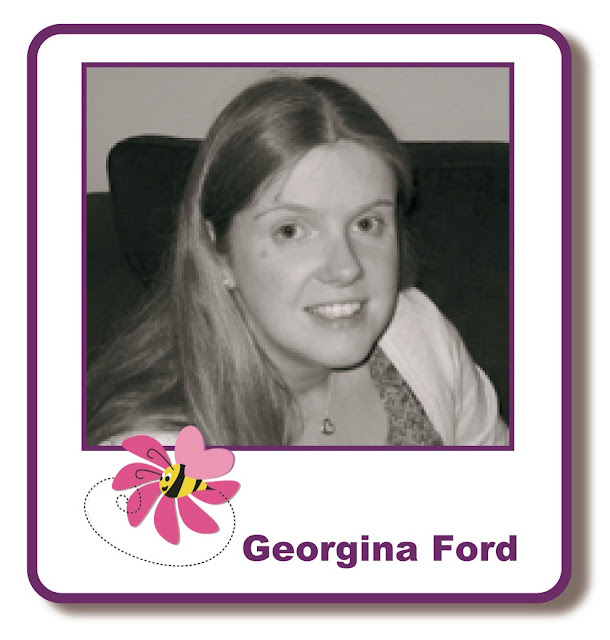 It's Georgina with my regular Thursday post and my second card as part of the male-themed fortnight promotion. I have a clock themed card to share with you today which is ideal for a man. I used a 7x7 kraft card blank for this card. To start I cut a strip from the right hand edge of the card blank, approx. 7cm wide. I then cut three pieces of clock patterned paper. 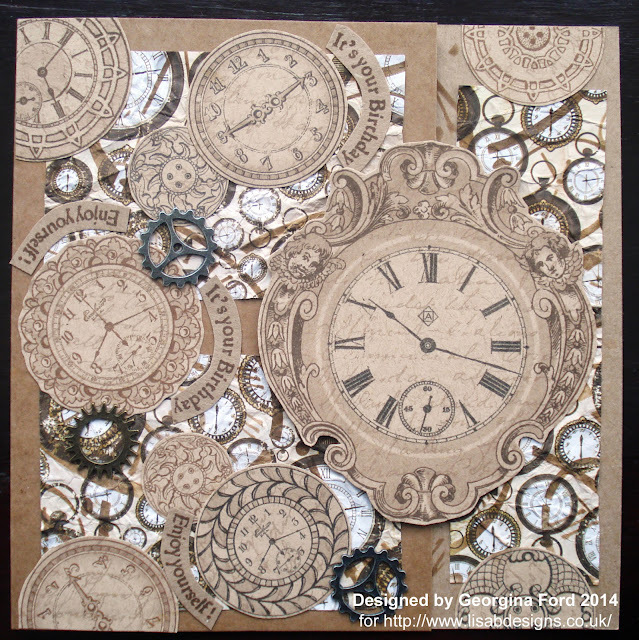 I used the Timeless Stencil and a Walnut Stain Distress ink pad to stencil on the clock design. I then scrunched up the papers and then flattened then out before adding to the card blank. I attached two panels to the front and one inside. 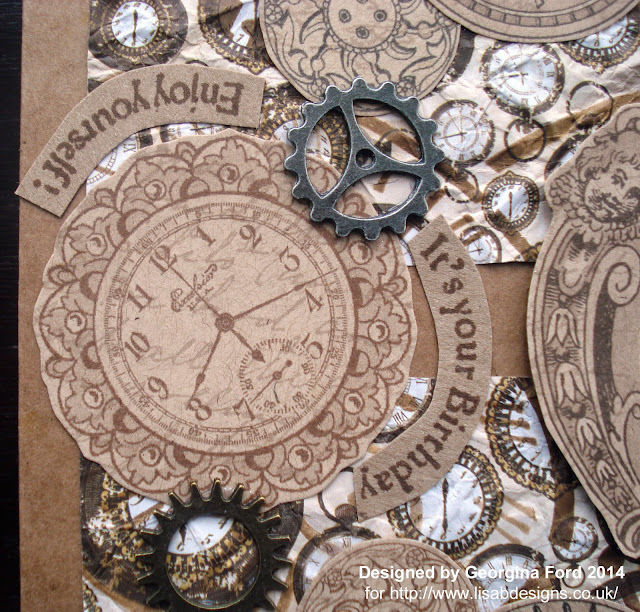 I then cut a selection of clocks and buttons from Graphic45 Before your time 12x12 paper. I added these to the card. I also added Antique Silver watch cogs and Brass steampunk style watch cogs . I stamped sentiments in Walnut Stain Distress ink onto the strip of kraft card I had cut form the front of the card. The sentiment stamps were from Hobby Art's Musical print clear stamp set. I added the curved shape sentiments to the front of the card, as shown above. I added the 'Wishing you..' sentiment inside the card. 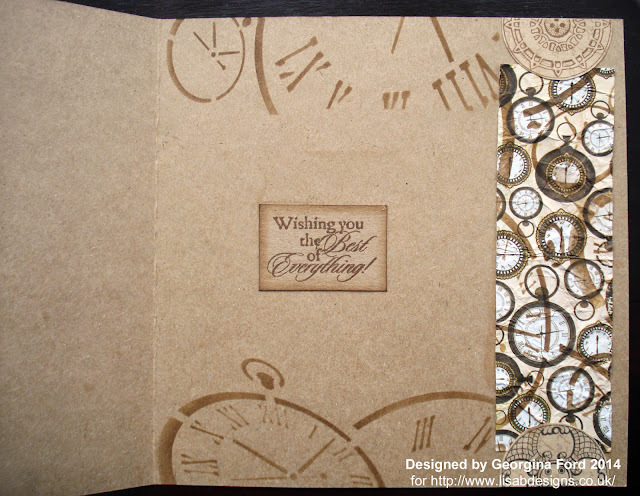 To finish I stencilled the clock inside the card as shown below. Love using kraft card and clocks, especially for men of course so this card is perfect inspiration. Lovely card. Love all the clocks and the kraft card. Love this with all the clocks . Nice with kraft card. Very well designed. Like the clock images. Very nice.